Grasmere Lodge near Arthur’s Pass. Photo courtesy Tom Butler. 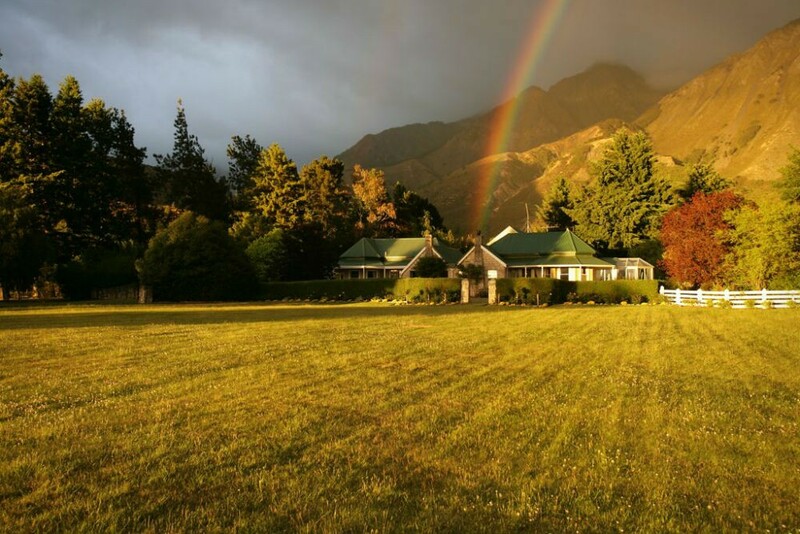 Grasmere Lodge is set in the Southern Alps of the South Island, amid some of New Zealand’s most dramatic mountain terrain (many of the scenes from Lord of the Rings and Chronicles of Narnia were filmed near the lodge). The handsome limestone lodge, which got its start as a nineteenth-century sheep ranch, serves excellent fare and has genuinely caring service; its list of activities includes hiking, fishing, canoeing, horseback riding, and mountain biking. The junior suites are the best value as our guests often receive a complimentary upgrade. Clifftops Retreat is a charming luxury cottage near Nelson that overlooks Ruby Bay. The lush setting offers such privacy that you don’t even need to draw the curtains, and the shower has a lovely view of the pond and gardens. At night, sip wine in front of the fire before spotting constellations through the skylight over the bed. There’s also a fully stocked kitchen, in case you’re moved to cook something up. If not, your hosts will take care of everything. Fleurs Place, south of Oamaru, is a casual waterfront restaurant that turns out some of the freshest and most delicious seafood anywhere. Sit on the upstairs deck to watch the sea lions. Reservations are essential! Hokey Pokey Ice Cream! It’s a creamy vanilla ice cream studded with chunks of honeycomb toffee. 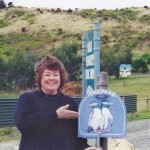 I especially like to have it on the streets of Queenstown, but you can find it in any location. Tiptop is the commercial brand that folks seem to love. If you can get it homemade it’s an extra special treat. Pescatore, at The George hotel in Christchurch, serves inventive, contemporary cuisine in a modern setting that many clients say is a highlight of their trip. The Boatshed, at Waiheke, serves memorable meals made of the freshest ingredients in a sublime waterfront setting. The only way to dine here is to be a guest, so take the 30-minute ferry ride from the mainland and spend a night or two. Warning: You won’t want to leave once you’ve arrived. Surrounded by vineyards, Terrôir at Craggy Range pairs exquisitely prepared organic vegetable, meat, and fresh fish dishes with wines from its renowned cellars, and the atmosphere cannot be beat: The dining room looks out onto the lake and Te Mata peak. 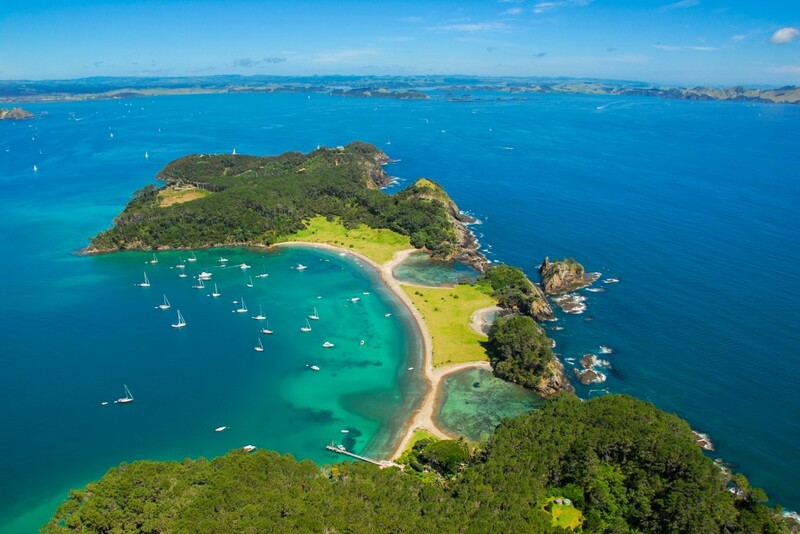 Stewart Island, the third-largest of New Zealand’s islands, is nearly all national park and has a slow pace that keeps rhythm with the sea and the tides. It is a completely unspoiled spot of clear water, lush forests, and stunning beaches (and fewer than 400 inhabitants), accessible by a one-hour ferry ride from Bluff or a short ride from Ivercargill. Ulva Island, a 10-minute boat ride way, is predator-free and known for its penguins and night kiwi walks, which absolutely must be booked in advance. One Tree Hill in Auckland is admittedly a beautiful spot with 360-degree views of the city, but if you come looking for the “One Tree,” you’ll be disappointed: It was chain-sawed by vandals and then cut down in 2000, as it became unsafe. In its place is a monument. The area also has had some car break-ins and robberies. The Falls at Ohau, about 17 miles North of Kaikoura, are an easy ten-minute walk from the parking. 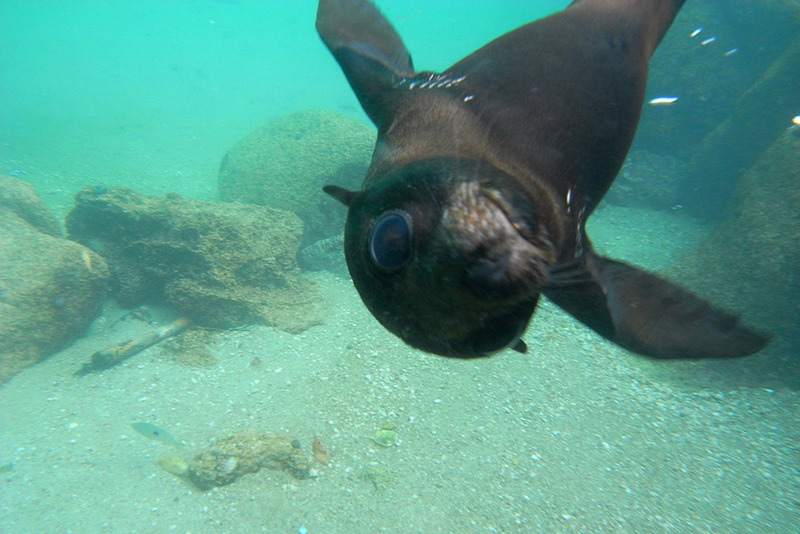 The trip is rewarded in winter, spring, and fall with the sight of seal pups frolicking in the waterfalls. It’s like a daycare center for seal pups, with more than a hundred of them playing and leaping in the safety of the falls as their mothers socialize. The absolute charm of seeing this crèche of baby seals is heartwarming. Bring your video camera. Still photos don’t capture the experience. Like the best things in life, this is a free experience. A 40-minute drive north of Greymouth, the Pancake Rocks at Punakaikiare are limestone formations that resemble stacks of pancakes along the seashore. They were formed 30 million years ago, when earthquakes caused the seabed to rise. At high tide, water shoots up through blowholes in the rocks, creating a dramatic jet that sprays into the sky. There are many paths—including some for wheelchairs—through the Pancake Rocks, and no entry fee to enjoy this beautiful natural spectacle. You can also ride horses on the beach for an extra charge. Have a picnic lunch with Peter Beadle, New Zealand’s leading landscape artist, and then take a tour of his studio. Photo by Louisa Patterson. Visit Tarawera, the spiritual home of the Tuhourangi tribe, accompanied by an elder who will introduce you to members of her community as she explains the history and traditions of the Tuhourangi and how they came to inhabit this valley after the eruption of Mount Tarawera in 1886. The day includes a helicopter flight over the powerful geysers and other geothermal activity of the Whakarewarewa Valley to the steaming volcanoes on the coast, a private totem carving and weaving lesson from master craftsmen, and a kai hakari—a feast of gourmet foods infused with traditional Maori herbs and delicacies. If you want to extend the experience, we can also organize a luxury camping experience that will enable you to take in both the sunset and sunrise views of the mountain and lake and be treated to a private open-air concert by Tuhourangi performers. Meet one of New Zealand’s leading artists. We’ll fly you by helicopter from Queenstown to the top of the Southern Alps for a gourmet picnic lunch with Peter Beadle, New Zealand’s leading landscape artist. You’ll spend time with Peter in his studio, where he’ll explain his techniques for capturing New Zealand’s majesty and light. We can also arrange for you to meet Angus (Gus) Watson, a noted New Zealand watercolorist. Gus is known for his unique style of landscape and figurative painting, in which he employs bright colors that bleed into one another, bordering on abstraction. He’ll demonstrate his technique for you and discuss the evolution of his style, as well as some of his favorite spots to paint around the country. Late October through April (spring through early fall) for the most agreeable weather; October to December to see the newborn lambs dotting the hillsides all over the country. The mercury starts to drop and rain becomes more common in May, though you can also have excellent weather—it’s just less predictable. Tip: In October and November I would start on the North Island and head south, so that you’re traveling into the warm weather; in April and May, start on the South Island and work north, for the same reason. Heavy rains in June and July can cause roads to wash out on both islands. The December holidays (December 20 to January 9) are always busy, so book well in advance. Underestimating driving times! New Zealand looks tiny on the globe, but the distances between destinations can be great, and you’ll be driving slower than you’re accustomed to because the roads are very curvy. Gas stations can be few and far between, so always top up at half a tank to be on the safe side. Here’s a joke you shouldn’t fall for: Some New Zealanders will point to a weka bird, which is fairly common, and say it’s a short-beaked kiwi. But unlike the cheeky weka, kiwis are nocturnal and would never be seen in the daylight. Many souvenirs and even pricey items sold in the gift shops are not made in New Zealand. Check the labels and be particularly careful about New Zealand jade (greenstone) and the opossum-merino wool products, which are sometimes imported from Asia and even Canada. itravelNZ is a free app that uses GPS to enable you to search for more than 1,500 activities and places of interest based on your location. Air NZ Mobile App is a free app that allows you to monitor your flights on Air New Zealand. New Zealand.Spot-On is a free app created by Air New Zealand that helps you find Wi-Fi and provides maps and destination information. New Zealanders themselves do not tip. In many locations you will not even see a spot for tipping on your restaurant bill. Travelers began tipping about 15 years ago, and it is more frequent now. New Zealanders never anticipate a tip, but if you feel the need, leaving 10 to 15 percent would be appropriate. Your travel planner can give suggested tips for tour guides. Auckland Airport is the major airport of New Zealand. There is an international terminal and a domestic terminal. The complimentary shuttle runs every 20 minutes, but after a long flight many folks like to take the pathway between terminals. Getting out in the fresh air will clear your head and help overcome jet lag. Allow about 15 minutes for the walk. Wake up in the morning at Clifftops Retreat and pad to the hot tub for a relaxing soak. Read the Sunday paper on the patio of your private cottage, sipping a coffee or tea and watching the views over Ruby Bay. 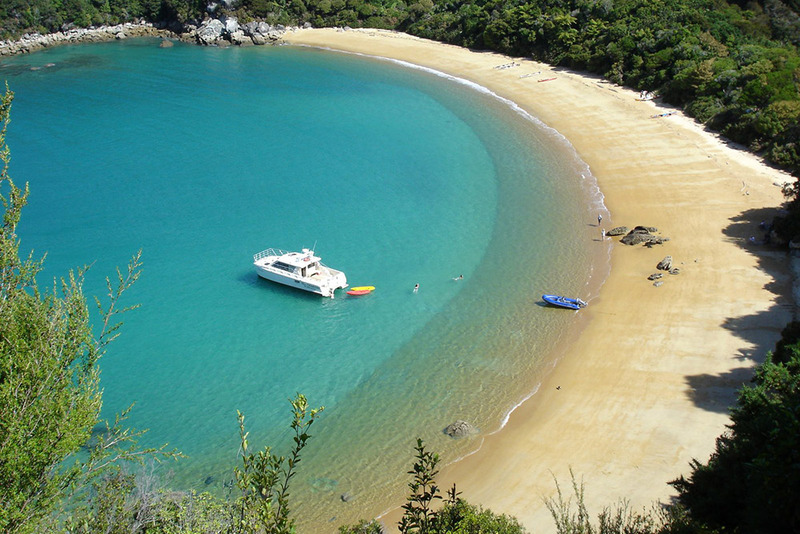 Mid-morning, head to Abel Tasman charters and board the private yacht for an all-day cruise through Abel Tasman National Park, where you’ll snorkel and swim with seal pups. Then you’ll head to a private beach for lunch and beachcombing. Your captain can leave you alone for a totally private beach experience and return after your lunch to continue the journey. Spend the rest of the afternoon kayaking the bays of Abel Tasman before returning to Clifftops for a glass of New Zealand wine and the sunset over Ruby Bay. My favorite spot is Lake Hawea, on Route 6, 15 minutes north of Wanaka. Head up the road to the top of the hill for the view of steep mountains heading down to the crystal-blue lake. If you’re lucky, there will be plenty of sheep dotting the hillside. A sweater, scarf, or gloves made from opossum and merino wool. By purchasing these, you are helping protect the environment of New Zealand as opossums are a pest that are eating native vegetation at an alarming rate and are also destroying the native birds by eating their eggs. This combination of opossum fur and wool is as soft as cashmere, long-wearing, and quite attractive. It is extremely warm in the winter yet still breathes. It can be found in most tourist areas. Snowy Peak, which sells very fashionable opossum-merino wool products, has an outlet in Christchurch at Roydvale in the Burnside section.